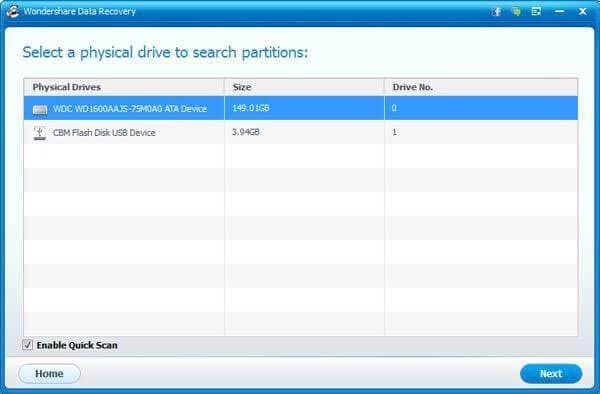 Can I Recover Data from Deleted Partition on External Hard Drive? I have two partitions on my external hard drive and this morning I accidentally deleted one whole partition from it. Now I can only access another partition. I have lots of important photos, videos and documents on the deleted partition. Is there a way that I can get my files back? Take it easy. Files on deleted partition can still be recovered from your external hard drive as long as they haven’t been overwritten by new data on the drive. Before you look for a way to find the partition back, you’d better recover data on the lost partition. Because any action on your external hard drive can possibly overwrites those files. Wondershare Data Recovery, or Wondershare Data Recovery for Mac is one of the best external hard drive partition recovery programs that you can get from the internet. 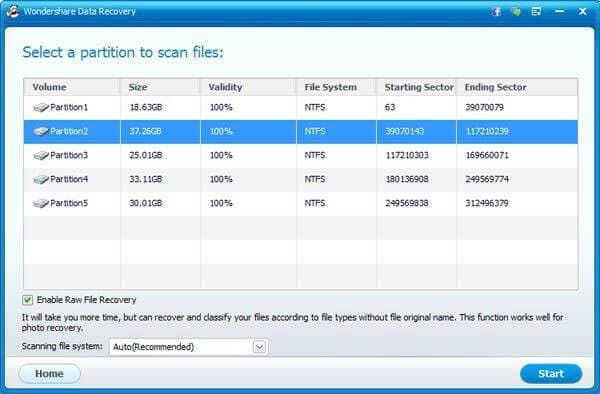 This powerful tool is able to recover almost all data from lost partition on external hard drive without loss. 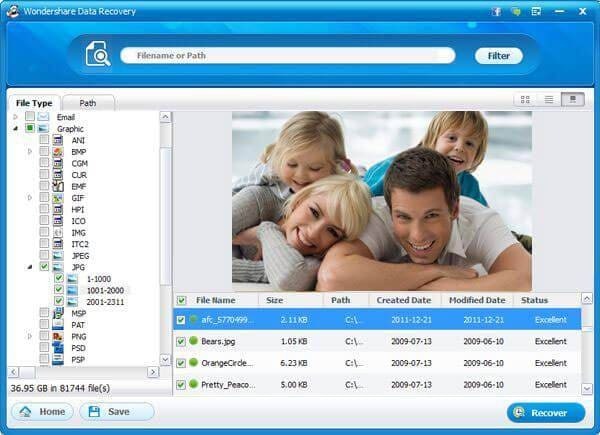 It recovers all kinds of file types with ease, including pictures, audio files, videos, documents and more. You can download a trial version of the program now. Please download the right version for your computer. 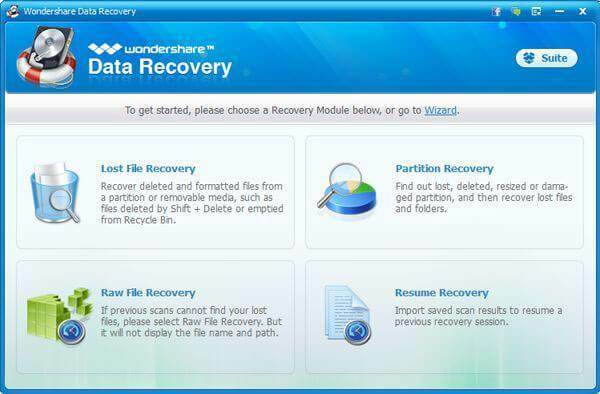 Note: Wondershare Data Recovery is a program that helps you to recover data from lost partition on your external hard drive. Note: Both Windows and Mac versions of Wondershare Data Recovery have similar operations. Here I’ll show you how to recover data from deleted partition on external hard drive with Windows version of it. Please connect your external hard drive on your computer, and then launch Wondershare Data Recovery program. You’ll see a window with 3 recovery modes. To recover deleted partition from external hard drive, you can select “Partition Recovery” mode to begin. Firstly you need to select your external hard drive on the program window and click “Next” button. Then all partitions on your external hard drive will be displayed. You just need to select the deleted partition and click “Start” to begin scanning files on it. When the scanning is over, all found files on the deleted partition will be shown in the window. You can view their original names or preview photos to check how many files can be recovered from deleted partition. Then you just need to mark files you need to retrieve and click “Recover” to save them on your computer.